EVERY CROW IN THE BLUE SKY. 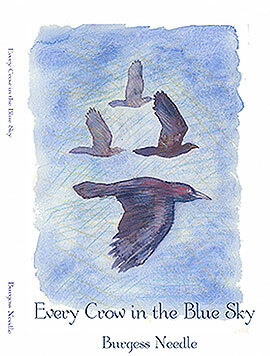 "Every Crow In the Blue Sky, a collection of poetry by the Tucson author, Burgess Needle, is exquisite. Burgess is a poet who does what all writers wish to do. He translates life into poetry. The reader sees what he sees, breathes the same air, is transported to other places, is surprised and enlightened by his unique take on things, and above all, re-experiences the delicate mixture of emotions that defines what it means to be human." 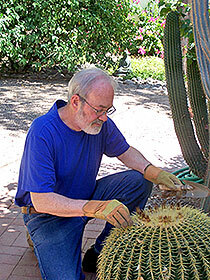 Burgess Needle is a Tucson poet whose work has appeared in: The Hiss Quarterly, Blackbox Manifold (UK), Kritya (India), Black Mountain Review (UK), Concho River Review, Red Fez,Centrifugal Eye, Raving Dove, Poetry Monthly International, Full of Crow, Origami Condom, Thirteen Myna Birds, Autumn Sky, Gutter Eloquence, Free Verse, Zafusy (UK) and Iodine.